Where to Buy Mainspring GNL, Mainspring GNL Insecticide Cyantraniliprole - Pt - $343.95 for Sale with Fast Free Shipping! 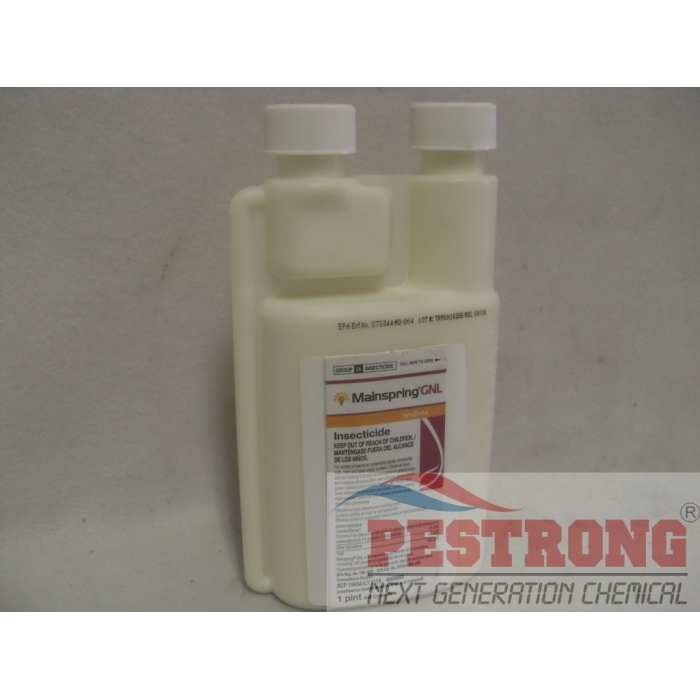 Mainspring GNL Insecticide Cyantraniliprole - Pt provides extended protection through its systemic and translaminar movement to prevent pest populations from building to damaging levels. I've decided to give GNL a try and applied at label rates. My greenhouse saw amazing results and I didn't see any caterpillars, aphids, etc. for almost 6 weeks. The residual control is just amazing. Great price and even better delivery! I love this cost effective metered aerosol insecticide.